As we approach the 2018 Auto Expo the list of upcoming cars keeps increasing. We are dedicated to bringing you the latest information featuring all the upcoming cars in the Indian market. Over the coming weeks, we are going to post final lists of vehicles sorted by their body type. Stay tuned for more information. The SUV segment is the favourite amongst Indians, be it the consumers who want go-anywhere capabilities or be it the government who continues to punish the segment with more and more taxes. 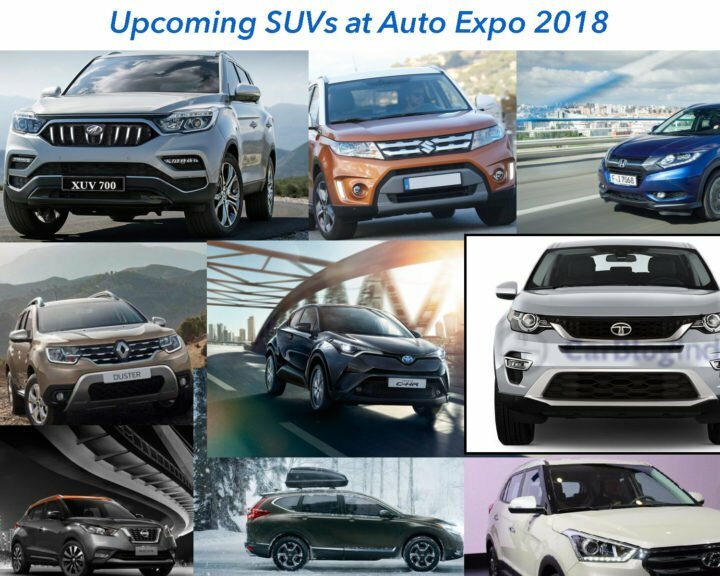 Following is the list of upcoming SUV at Auto Expo 2018. Have a good look and tell us, which one you favour most. 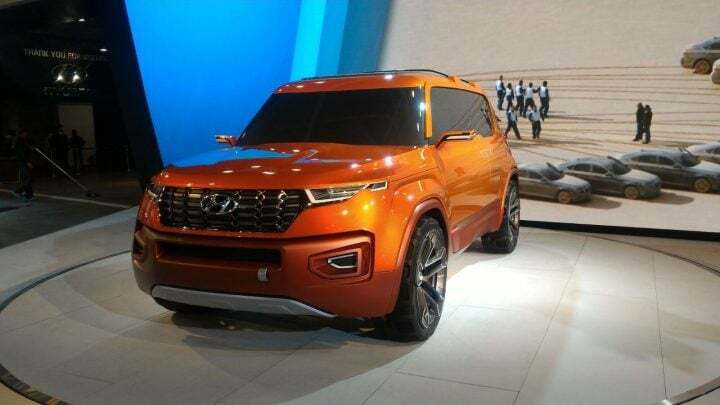 The second largest automaker in India, Hyundai unveiled the Carlino concept at the 2016 Auto Expo and thanks to the immensely positive response from the customers, we will finally get to see the production-ready variant soon. The concept was based on the i20 platform but reports suggest that the final production version will be based on the Grand i10 platform to keep the final price in check. The mini-SUV will host both petrol and diesel engines under its hood. The 1.2-liter petrol engine will churn out 82 bhp of power and 113 Nm of torque whereas the 1.4-liter diesel powerplant will have an output of 88,7 bhp of power and 220 Nm of torque. The South Korean automaker has had immense success with the current generation Creta. Come 2018 Auto Expo, the Creta is bound for a mid-life facelift. The new Hyundai Creta features refreshed exterior and interior changes with added tech and functionality. 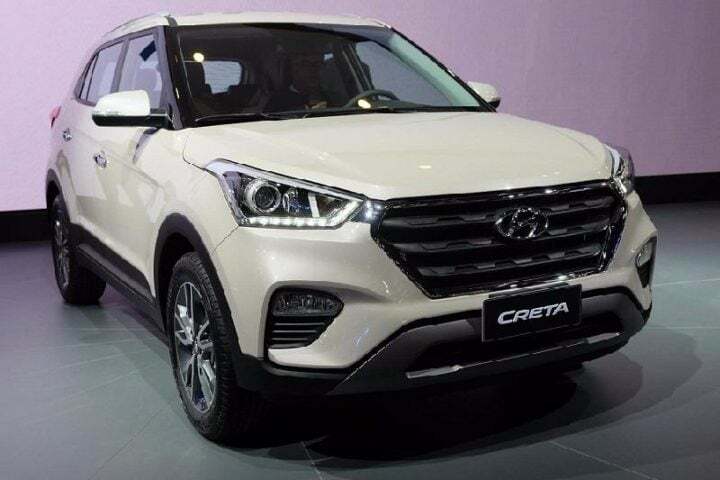 On the outside, the 2018 Creta will feature a new grille and bumper design along with the fog lamps shifting from a vertical position to a horizontal one. The changes to the rear are minimal with the tail lights featuring a slightly altered design. The interior features an all-black theme with the seats adorning sporty red stitching. The infotainment screen size gets a bump and features Apple Car Play and Android Auto. Expect Hyundai to add a few more features to the already long list with techs like mood lighting, sunroof and new design alloy wheels. Click here to read more about the 2018 Hyundai Creta Facelift. Long gone are the days when the Tata cars with bare-bones interiors and truck-like manoeuvrability existed, come the latest cars and SUVs to attack the international players! The Tata Q501 is one such example of the company developing a full-fledged SUV based on the Land Rover L550 platform. Much more premium then the Hexa, the Q501 will directly target the buyers of Toyota Fortuner and Ford Endeavour. Tata is expected to showcase the production-ready version of the Q501 SUV at the 2018 Auto Expo. Upon launch, the Tata Q501 SUV will be the costliest Tata product ever and will host state of the art design and tech on board. The Q501 will host the same engine as the Jeep Compass i.e. a 2.0-litre diesel engine with an output of 170 bhp of power and 370 Nm of torque. Expect the engine to come mated to a six-speed manual or a 5-speed auto gearbox with the lower models featuring front-wheel drive and top end trim getting all-wheel drive. Come 2018 Auto Expo, its raining SUVs and how could Honda stay behind. Coming from the Japanese automaker is the new mini-SUV, the HRV. Honda is expected to launch a slew of models in the coming year and the HRV is just one of them. Upon launch, the HRV will be Honda’s fourth crossover/MPV. Locking horns with the likes of Duster, Creta and Ecosport, the HRV will be borrowing its drivetrain from the City. A 1.5-litre petrol and diesel engine will do its duty under the hood and will come mated to a 6-speed manual or CVT, with the latter only on offer on the petrol variant. The HRV debuted at the 2013 Tokyo Motor Show and is based on the Honda Urban Mobility Concept. On the outside, the HRV looks like a shrunk version of the CRV which is not all that bad considering the never-age look the CRV is famous for. The inside looks identical to the Honda City while the dual-colour dashboard and cabin being the freshest design part. Honda’s flagship crossover was launched in 2013 in India, post which, the company has even failed to update it to date. Come 2018 Auto Expo, Honda will be launching an all-new CRV which features three-row seating along with an option of a diesel engine. Excited? 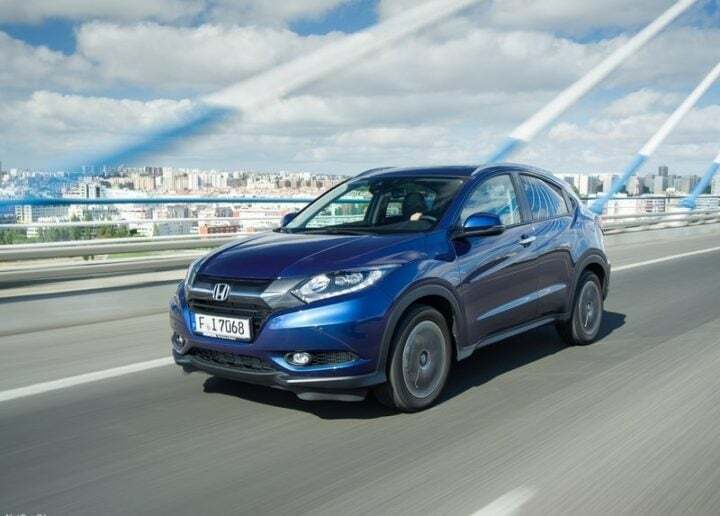 To make space for the extra occupants, the new Honda CRV has grown and the new 1.6-litre twin-turbo diesel engine makes the crossover frugal enough for Indians to accept it. The distinctive design of the 2018 Honda CRV features a radical front and rear design with all-around LED lights. The generous use of chrome adds to the premium-ness of the crossover. The interior is completely revamped and offers a high level of sophistication, comfort and premium features. Behind the steering wheel is a digital tachometer that is customisable according to the driver. The 7-inch touchscreen infotainment system adorns the dashboard as well. Expect the final version of the Honda CRV in India to feature a 5+2 seating layout. 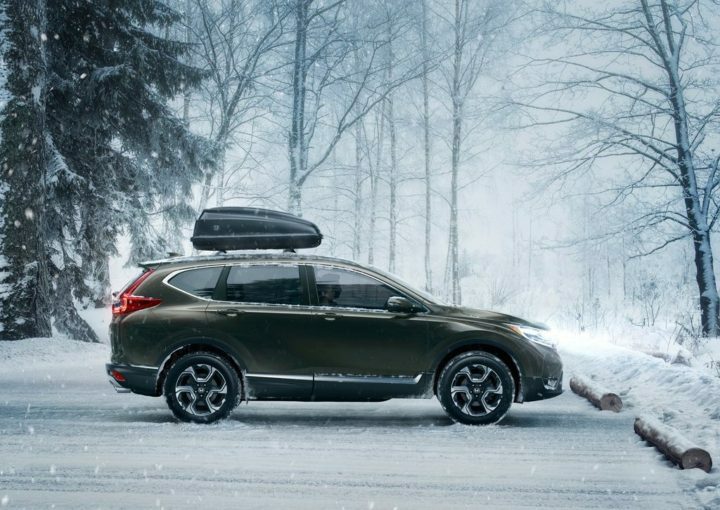 Click here to read more about the 2018 Honda CRV. This delicious looking mini-SUV from the Japanese auto giant will be showcased at the upcoming 2018 Auto Expo. The 2018 Toyota C-HR features look unparalleled to any of its competitors. Underpinning the TNGA platform, also otherwise featured in the new Prius and the Camry, the C-HR does look promising enough. Powering the mini-SUV will be a choice of 1.2-litre turbocharged petrol engine and a 1.8-litre petrol-electric hybrid. Toyota is expected to launch the upcoming min-SUV with only petrol engines on offer initially. 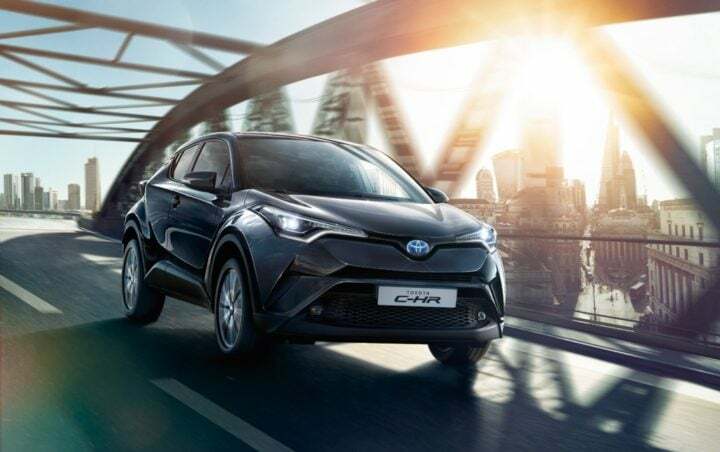 The exterior design of the 2018 Toyota C-HR is revolutionary and the striking lines all around the car with the elongated headlights and even more aggressive tail lights. The interior follows the same sporty theme with driver-oriented dashboard layout. The large floating infotainment screen sits atop the ac vents and the LED mood lighting highlights are done in sporty blue further accentuating the cabin’s appeal. India’s largest automaker, Maruti Suzuki once launched the third generation Grand Vitara which came in a tad bit too early hence the response was mediocre. Come 2018 Auto Expo, Maruti Suzuki is going to try their hand again at launching the all-new Grand Vitara, one of the most successful mini-SUV globally. The new Grand Vitara, with its fourth-generation, loses the muscular and boxy look in favour of better aerodynamics and versatile customer base. What the current generation carries over is the same premium min-SUV image from its predecessor. Sharing its platform with the current Vitara Brezza, the Grand Vitara features similar design theme as well. The 2018 Maruti Suzuki Grand Vitara features sleek headlamps with stylish bumper carrying fog lamps and DRLs on either side. The side profile is accentuated by the bold lines and creases. The rear profile looks similar to that of the Audi Q3 but the design generates mixed feelings. The tail lamp design and the dull finished rear skid plate leave us unimpressed. Under the hood will be a Fiat-sourced 1.6-litre diesel engine otherwise doing its duty in the Scross. The engine produces 120 PS of power and 320 Nm of torque. The interior of the 2018 Maruti Suzuki Grand Vitara carries a simple yet practical layout. Indian car buyers love flashy and premium interiors so we are not sure as to how they’ll react to the Grand Vitara’s interior design. Otherwise, the dashboard features a clean layout with the touchscreen infotainment screen taking the centre place. The black and grey interior features premium materials like soft touch plastic on the dashboard and leather upholstery on the seats, steering and gear knob. Another Japanese manufacturer, another mini-SUV, quirky design theme follows. Indians have been famous to favour characteristics like brand name, the visual appeal over outright practicality and subtle design. 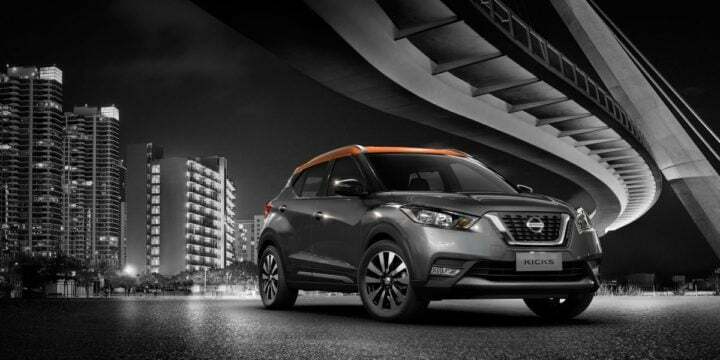 Nissan has announced the arrival of the 2018 Kicks mini-SUV and will be showcasing the same at the upcoming 2018 Auto Expo. Targeting the millennials, the Kicks offers quirky design theme both on the outside as well as on the inside. Powering the 2018 Nissan Kicks will be the same 1.5-litre diesel unit that does its duty in the Terrano. Although, only the 108 bhp version would end up in the mini-SUV and will come mated to a 6-speed manual gearbox. A petrol variant carrying a 1.6-litre engine is highly likely and would launch subsequently or could come at a later stage. The production version of the Kicks look identical to the concept and carries a similar sporty design theme. The dual-tone exterior loses the orange highlights around the bumper and the grille but still looks appealing enough. The interior looks mesmerising featuring a dual colour layout with a touchscreen infotainment screen sitting atop the automatic climate control knobs. The analogue tachometer features a TFT display between the dials providing the driver with the necessary information. 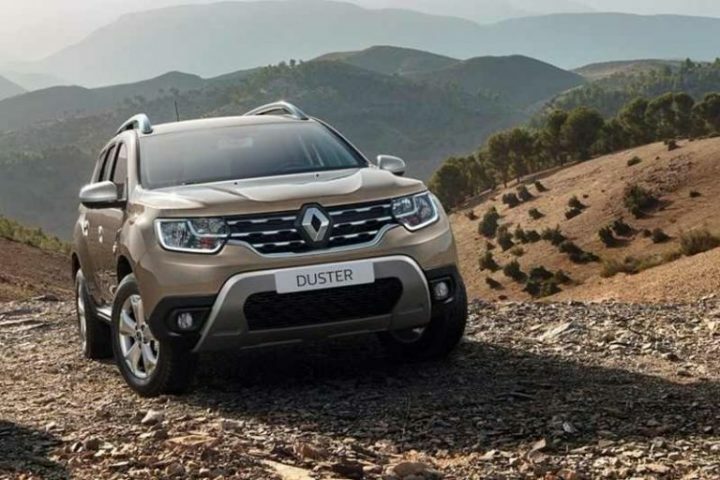 The French automaker is all set to launch the second generation Duster in India next year. One can argue about this being an all-new generation but still carrying a similar design to its predecessor but that actually helps the manufacturers to hold better resale value for older vehicles. The engines on offer include a 1.2-litre turbo petrol, which will be offered with CNG in a detuned state, a 1.6-litre normally aspirated petrol and finally the 1.5-litre turbo diesel. The company is a little sceptical to launch the 1.2-litre engine in India and the final details will be available around 2018 Auto Expo when the new Duster is set to be unveiled. The exterior design remains almost unchanged with the headlamps, tail lights, grille and bumpers being the exception. The interior, however, now hosts new tech and features along with the use of more premium material to enhance the overall appeal and comfort. The circular bits have turned oval, the dashboard features a cleaner look and the Media-Nav unit looks better integrated and doesn’t feel out of place like that of the current generation. Our very own automaker Mahindra and Mahindra has been quite aggressive with their current SUV lineup and has had immense success over time. Mahindra is planning to launch even more competitive SUVs over the next few years with certain examples like KUV100 EV going full electric! 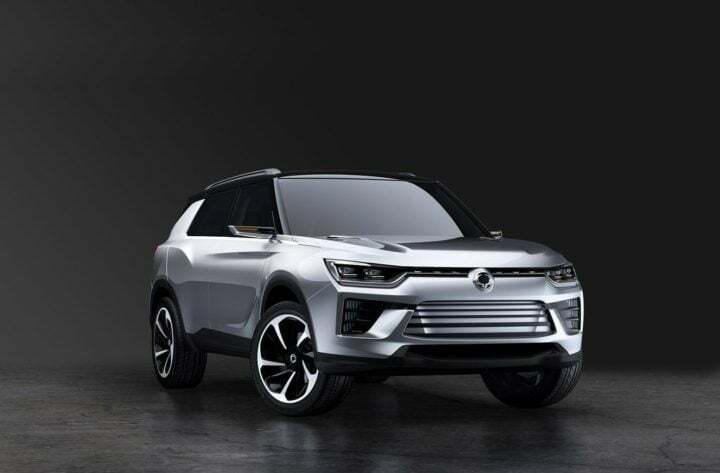 The one in question here is codenamed S201 and is based on the Ssangyong Tivoli. Upon launch, both 5, as well as 7 seater options, will be available for the customers to opt for. 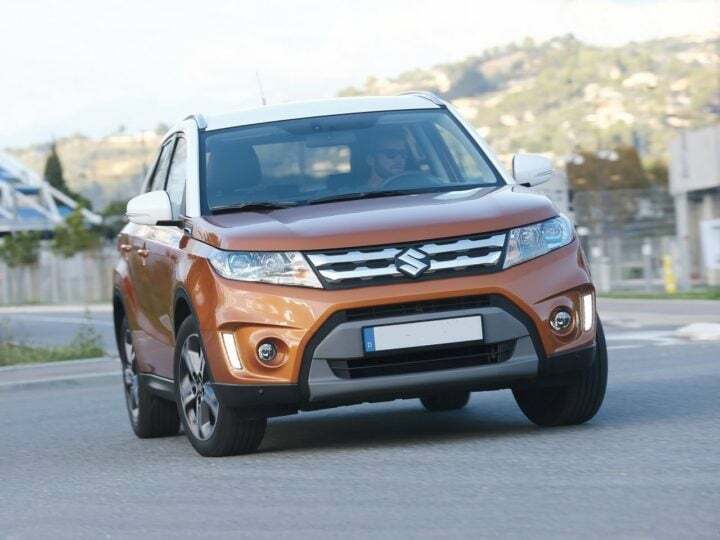 Claiming to be the most powerful compact SUV on sale, the S201 will feature a 1.2-litre turbocharged petrol engine with 140 hp of power and a 1.5-litre turbo diesel unit churning out 115 hp. 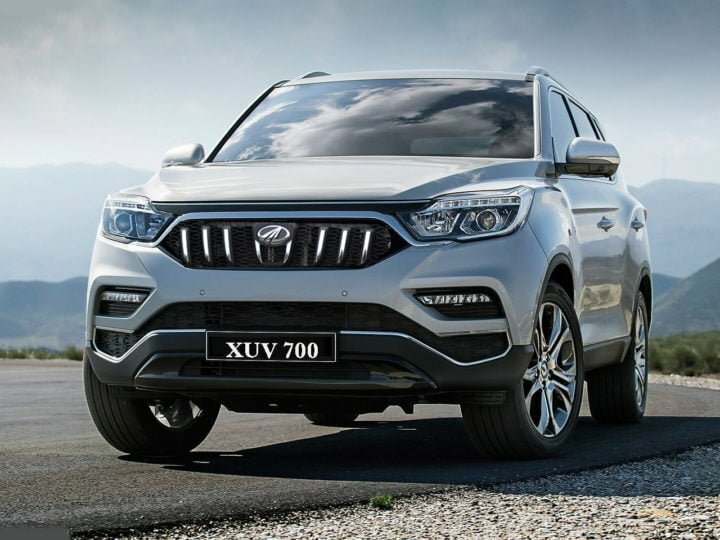 Based on the Ssangyong Tivoli, the Mahindra S201 is expected to look exactly the Tivoli with subtle changes like grille and bumpers design in sync with the design theme of the other products by Mahindra. The interior features a similar story with the Tivoli features being carried over along with a hint of Mahindra theme. Yet another SUV from Mahindra that tops the list of the most anticipated SUV of 2018. Targeted directly at the full-size SUVs i.e. the Toyota Fortuner and the Ford Endeavour, the rebadged Rexton is sure to shake the earth a bit upon launch. Otherwise ruled by the Japanese automaker, Toyota, the Mahindra Y400 is aimed to capture a slice of pie from Toyota’s plate. Mahindra is expected to showcase the full-size SUV at the upcoming 2018 Auto Expo in its production guise with the sales starting from the festive season of Diwali 2018. The exterior of the Y400 features a muscular design with intimidating front, wider looking side profile and lean rear proportions. The 7-seater premium SUV will feature more interior space and better materials than its arch-rival, the Fortuner. The top end trims to feature captain seats even in the second row with a bench for passengers in the third row. Expect the Y400 to be laden with tech to its teeth with several segment first features. 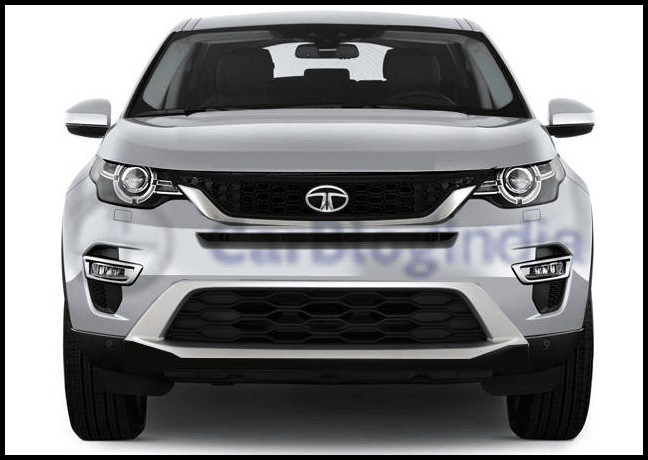 The same was seen when the XUV 500 was introduced and Mahindra will follow a similar strategy for the upcoming full-size SUV. Doing its duty under the hood will be a 2.2-litre Turbo-diesel unit which will be mated to a 7-speed automatic gearbox for improved performance and efficiency. A 2.0-litre petrol engine will follow sometime early or mid-2019. Click here to read more about the upcoming Mahindra Y400.